SPOKANE, Wash. -- The state is putting 29 newly purchased rail cars into service to carry grain from Eastern Washington to ports along the Columbia River and Puget Sound. The rail cars were purchased to support the Washington Grain Train program, and will join the 118 cars that already help move grain to ports. The 29 used rail cars were purchased for $362,500 and refurbished. The Grain Train program began in 1994 and is self-supporting through user fees. 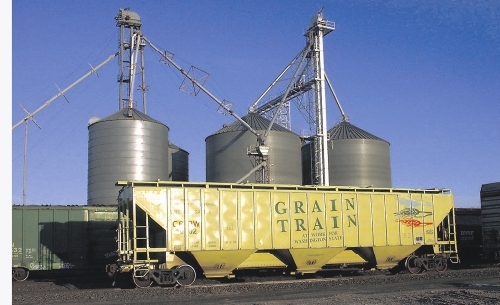 The cars added this week are assigned to collect grain between Coulee City and Cheney and carry it to Ritzville via the state-owned Palouse River and Coulee City rail system. Washington is the fifth-highest producer of wheat products nationally.